So does aluminum. Where's the source of this pic? Looks like a carbon wrapped alloy bonty stem, so more than likely was the alloy that had most of the strength. Hi, I took this picture. This customer was hit by a car pretty darn hard. It was a full carbon stem. 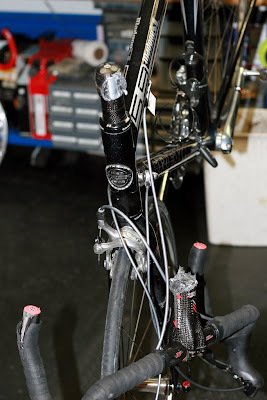 The handlebars also broke by the shifter. We had the frame shipped back to Trek and everything else checked out ok, amazing for how hard the guy was hit. He's back on the bike now, healthy as ever!